Researchers at the All India Institute of Medical Sciences reduced heart failure risk in two weeks. 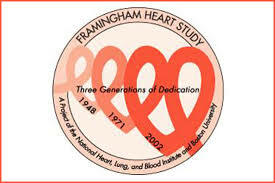 One of the great medical research vehicles is the Framingham Heart Study. Originally created in 1948 to study cardiovascular disease, researchers from Boston University assembled a group of volunteers who were monitored in detail and examined every two years. Researchers have used data from the Framingham Heart Study to create a cardiovascular risk evaluation tool called the Framingham Risk Score (FRS). The FRS is used to assess someone’s chance of developing cardiovascular disease in the next ten years. Risk groups are: low-less than a 10 percent risk; intermediate- 10-20 percent risk; and high-over 20%. Recently, a research team at the All India Institute of Medical Sciences in New Delhi analyzed the effectiveness of a yoga and meditation-based lifestyle to determine if it would result in a lower FRS. Yadav Rashni, PhD and the research team recruited 386 healthy participants for the study. The participants engaged in a program that did yoga poses, prayanama breathing techniques, meditation, stress management and relaxation along with individualized coaching on nutrition and other health topics. After ten sessions over a two-week period, participants had significant improvement in their FRS. That is, they had measurably reduced their risk of cardiovascular disease in the next decade in a mere two weeks! Link to the underlying research here. 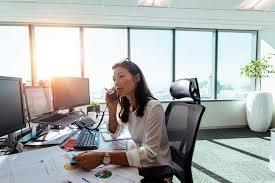 Last week we reported a study that light levels in your home and place of work can affect your brain. Lily Yan, MD, PhD and a team from Michigan State performed experiments to evaluate the impact of lower light levels on the brain. Key finding: “When the animals were housed in dim light during the day, mimicking the cloudy days or typical indoor lighting, the animals had a ~30% reduction in the dendritic spines, which make the connection between the brain cells, within the hippocampus, a brain region critical for learning and memory.” (Emphasis mine). 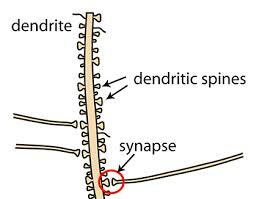 Importantly, long dendritic spines are linked to resilience against Alzheimer’s Disease. Link to the study here. 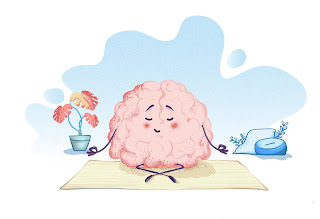 We have a very limited supply of our outstanding books on meditation. We tried replenishing our inventory unsuccessfully; it appears they may now be out of print. If you’ve been thinking about trying meditation, you might order these excellent books while supplies last.